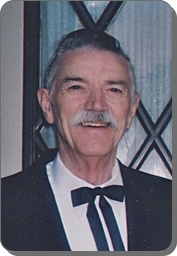 Leland Phineas Arms, age 85, of Byron Center, went home to be with his Lord on Monday, October 15, 2018. Leland proudly served in the U.S. Army, and retired from Spartan Stores after 30 years of service. He enjoyed woodworking. His grandson, John-Michael Gommesen; seven brothers and four sisters, preceded him in death. He will be deeply missed by his wife of 60 years, Carolyn (Savage); his children, Debra (Michael) Gommesen, Dwight Arms, Daniel Arms; 14 grandchildren; 21 great grandchildren; brother, Lloyd (Judy) Arms; sisters-in-law, Barbara Arms, Dottie Arms, Loralee (Jorge) Garcia; many nieces and nephews. The family will greet visitors on Thursday from 2 - 4 and 6 - 8 pm at Stroo Funeral Home, and Friday, October 19, prior to the service from 10 - 11 am at Good News Baptist Church (6830 Eastern Ave. SE) where the funeral service will begin at 11 am with Rev. William Jenkin III officiating. Interment will be in Winchester Cemetery. Memorial contributions may be made to Continental Baptist Mission.